A 5.2 magnitude earthquake hit Mexico Sunday, about 11 miles southeast of Xalpatlahuac, Mexico, according to the US Geological Survey . The quake in southwestern Mexico was felt as far away as Mexico City about 220 miles (nearly 360 kilometers) away. 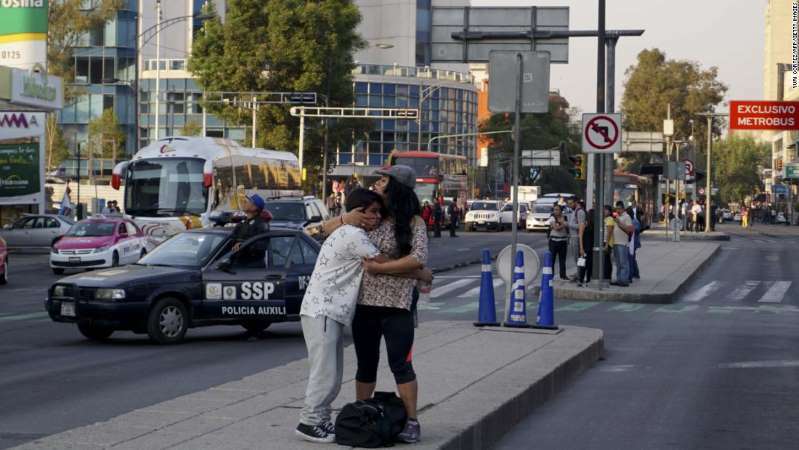 In Mexico City, sirens sounded and telephone poles shook in the street, according to witnesses. A Mexican government official said there is no immediate reports of significant damage. There was no tsunami warning issued. This quake comes three months after a 7.2 earthquake struck southeastern Mexico in February, with the epicenter in the state of Oaxaca, according to the USGS. Emergency authorities in Oaxaca reported "only material damage and no loss of human life" during the earthquake. A magnitude 8.1 earthquake struck off the southern coast on September 8, killing at least 90. On September 19, a magnitude 7.1 earthquake hit Mexico City, killing at least 216 people.